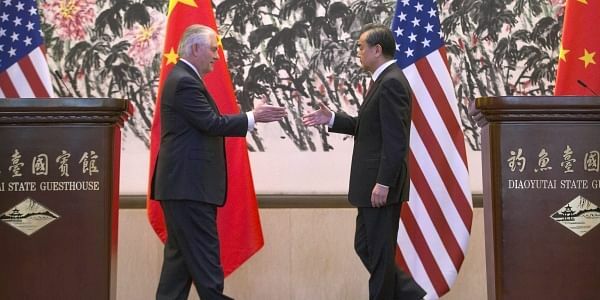 In talks with Xi in Beijing, US Secretary of State Rex Tillerson said Trump places a "very high value" on communications with the Chinese president. BEIJING: The United States is looking forward to the first meeting between President Donald Trump and his Chinese counterpart Xi Jinping, Secretary of State Rex Tillerson said Sunday, on the final day of a swing through Asia dominated by concerns over North Korea's nuclear and missile programs. Tillerson's Beijing visit followed his remarks in South Korea on Friday that pre-emptive military action against North Korea might be necessary if the threat from its weapons program reaches a level "that we believe requires action."